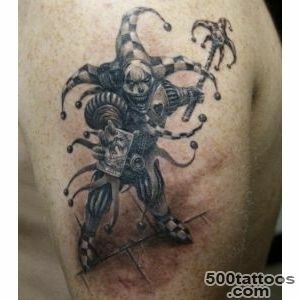 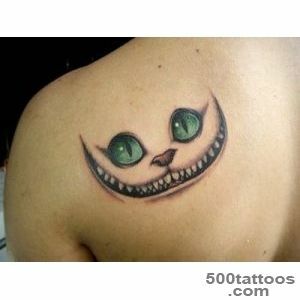 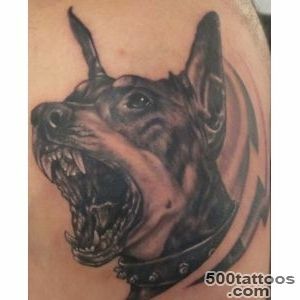 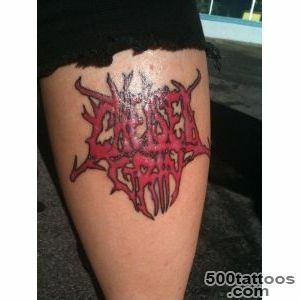 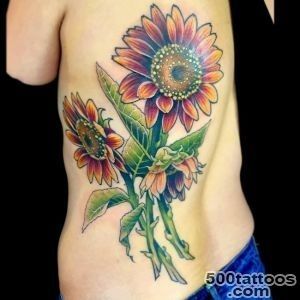 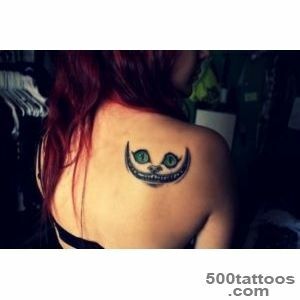 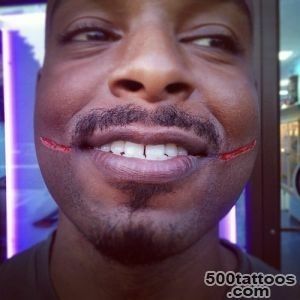 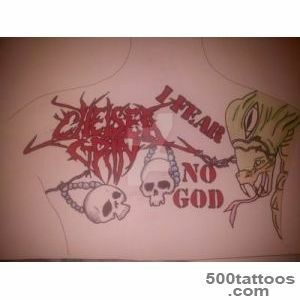 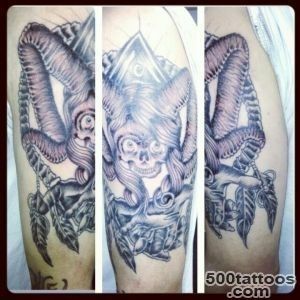 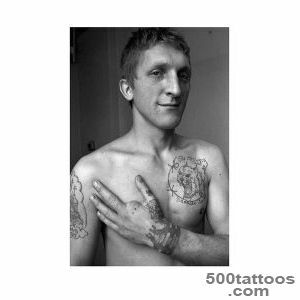 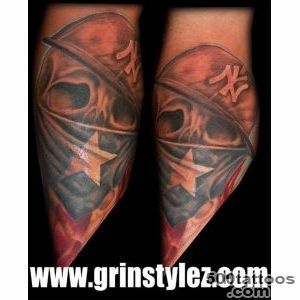 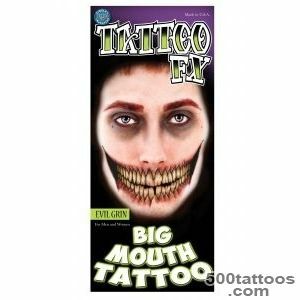 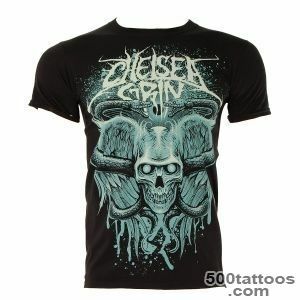 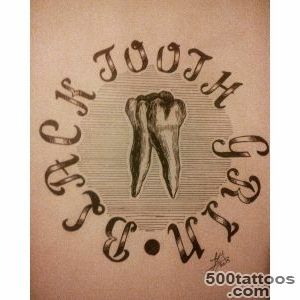 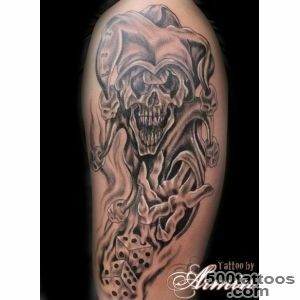 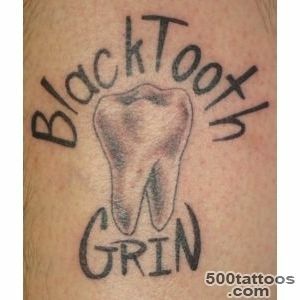 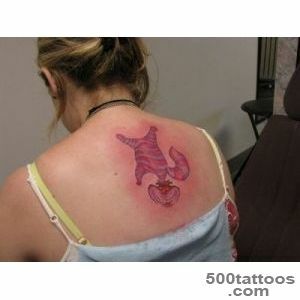 Today, quite popular images for tattoos is the grin of wild animals . 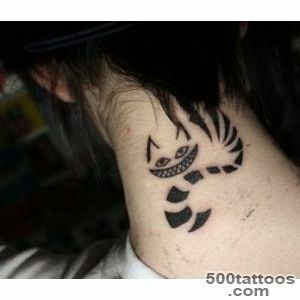 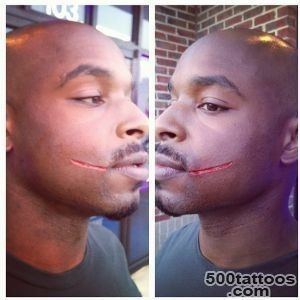 As girls and guys love to embellish their bodies grin tiger , say, or a panther . 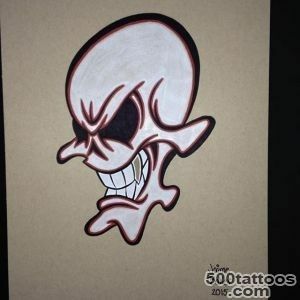 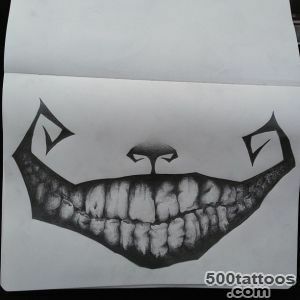 However, it is certainly worth knowing that symbolizes each of the images and what changes in your life can occur after tattooing .Sketch of tattoo grin with any animal should be carried out by professional artists , because they figure how to be in a realistic style , but it is quite complicated from an artistic point of view. 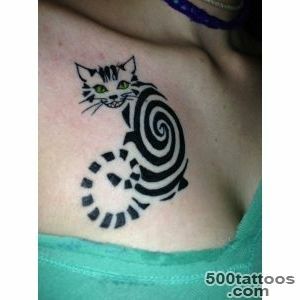 Well look both color and black and white eskizye . 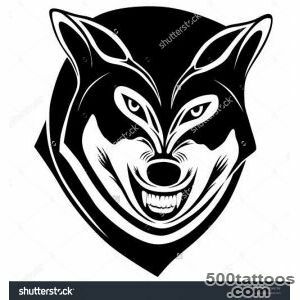 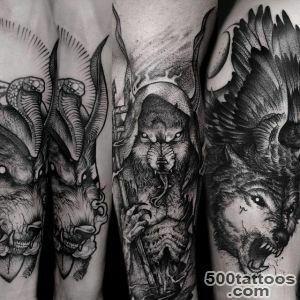 Tattoo with the grin of a wolf - aggression and unpredictability .Many guys make the image of the wolf grin all the shoulder , then it looks most spectacular and impressive , and the presence of good biceps and even violently. 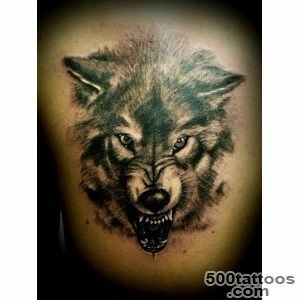 Freedom is also no stranger to the wolf , and therefore in a tattoo it is displayed in full. 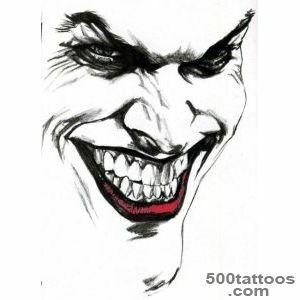 Often portrayed with a leaping wolf grin or predator while running.Tattoo in the form of a tiger grin - is, above all , anger and rage . 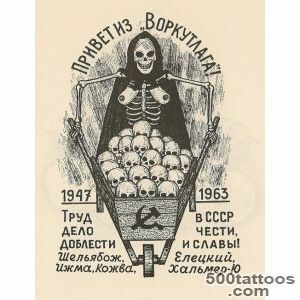 This is not unexpected , but the value of such a figure is very ambiguous . 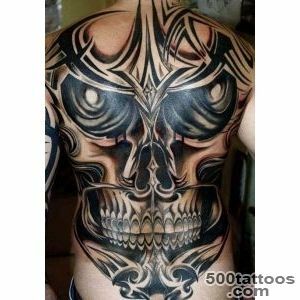 For example, the inhabitants of India before piously believed that the application of henna image Tiger grin capable of protecting human life. 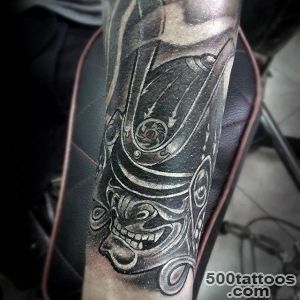 Even today there can be found a lot of people with the tattoo .But in Thailand grin such animal like a tiger is not so much anger as the passion and sensuality of man , on the body of which has a pattern grin . 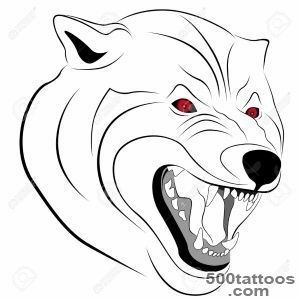 Tattoo with a grin a bear means power . 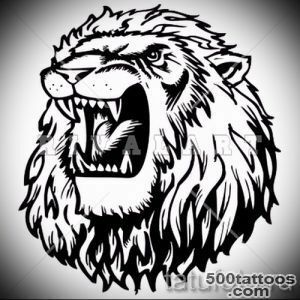 And a bear tattoo says Indomitability owner of the tattoo and his courage .Very strongly bears and all that is connected with them respect the Indians inhabiting North America . 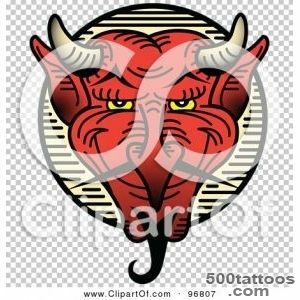 Natives of these people say that bears are actually very good and peace-loving creatures , just hiding behind the mask of anger and rage . 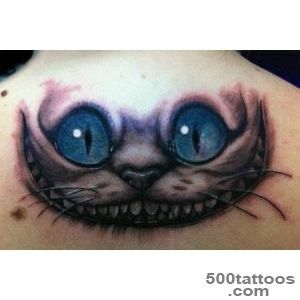 Tattoo with the grin of a lion - a truly impressive sight . 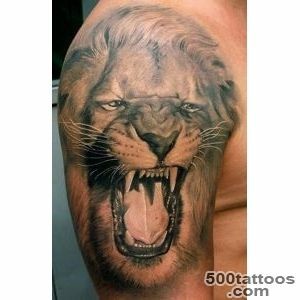 When tremendous lion's mouth open ,it appears that the animal is at any moment ready to swallow the first available prey. 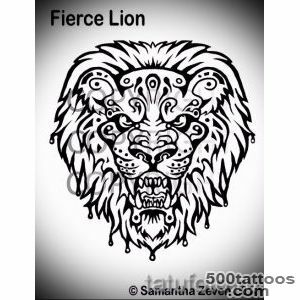 If we talk about the snarl of a lion as a tattoo , this symbolizes cunning and skill, as well as the courage and invincibility .